Inclinable angle adjustment up to 15 degrees or in horizontal position. 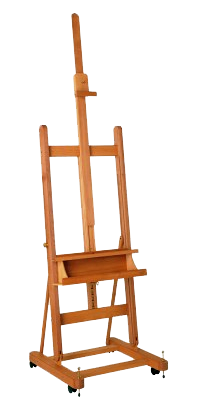 Canvas holder height is adjusted by two sliding shelves. 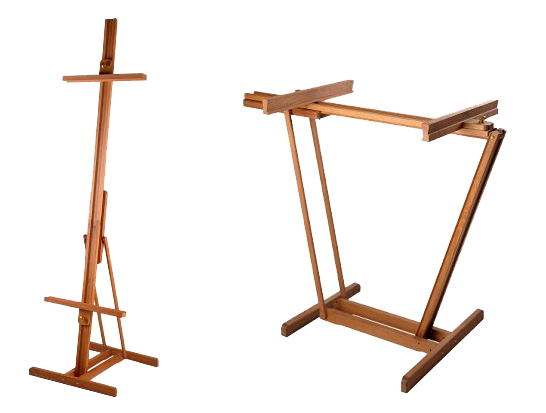 Ideal for oil and watercolour painting. Overall dimensions: 61cm(w) x 223cm (h) x 64cm (d).